Home Chiropractic Blog Text Neck: It’s real! Nowadays, it’s hard to argue that technology is right there at our fingertips, making it more convenient than ever to use. Unfortunately, it is affecting our health! “Text Neck” is known as the overuse of your neck, back and shoulder muscles, in turn causing much pain and discomfort to your spine. The overuse is caused by long periods of looking forward and downward on mobile devices such as your cell phone, computer, tablet, etc. On average, most adult fully grown heads weight about 10-12 pounds. However, this gravitational pull on the skull in greatly increases every time the head tilts down. Realistically, our ideal posture would be keeping your ears aligned with your shoulders, while retracting your shoulders. Unfortunately, the head tilt associated with Text Neck creates an enormous pull on the neck that can lead to chronic pain and issues associated with long term muscle strain, disc herniation and pinched nerves. Why are the symptoms of Text Neck so massive? Let’s say your brain weighs 10 pounds, and you are viewing a text message from your best friend. You tilt your head at a 60 degree angle in order to read what they have to say. A 60 degree tilt of your head to see the text applies 60 pounds of pressure to your neck! That’s equivalent to a small child! So how can you avoid Text Neck? It’s time to set some healthy guidelines and boundaries in order to achieve a healthier, Text Neck- free lifestyle. Some beginning tips would include: try to avoid your phone during meal time, do not text in the car or at work, or while in bed. When using technology, be aware of your spine and posture! 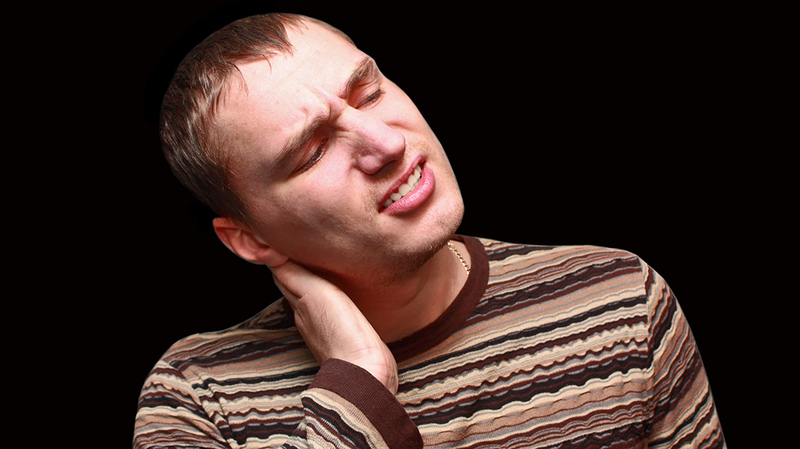 Make sure you aren’t tilting your neck and causing strains on the surrounding muscles and the rest of your body. If you suspect you may already be suffering from Text Neck, visit your local Doctor of Chiropractic! You wouldn’t believe how much they can help you with tips on achieving better posture, realign your spine, and most offices have massage therapists that can help ease the sore muscles of Text Neck. Tags: Benefits of ChiroBenefits of ChiropracticBenefits of Chiropractic CareBenefits of Chiropractic MedicineBenefits of Chiropractic TreatmentChiroChiro BenefitsChiropracticChiropractic BenefitsChiropractic CareChiropractic Care BenefitsChiropractic MedicineChiropractic Medicine BenefitsChiropractic TreatmentChiropractic Treatment BenefitsHow to avoid Text NeckText NeckText Neck SymptomsWhat is Text Neck?